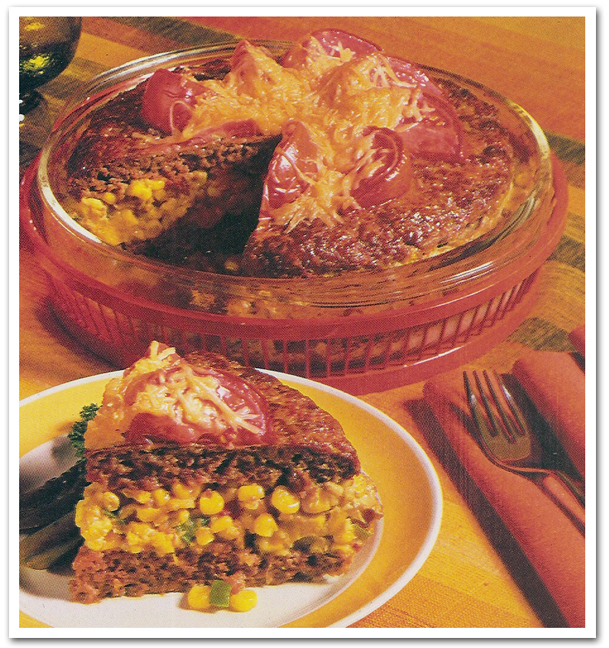 Jumbo cornburger is a giant hamburger that’s been turned into a casserole. A colorful vegetable layer is sandwiched between two large beef patties. Cut into wedges to serve. Top with warmed ketchup or tomatoes. Awfully delicious!